View More In Computer Accessories & Peripherals - Page 2. This high quality AC power cable handles high current and effectively reduces noise of entire system with wider dynamics, improved rhythm and overall gains beyond expectation. It is a perfect match to power filter, turntable, amplifier, CD player, DAC and any Hi Fi components. ❤️ HIFI power cord, work with power filter, turntable, amplifier, CD player, DAC and any hifi components. ❤️ HI END power cable, 100% mylar foil shield for outstanding rejection of EMI and RFI. 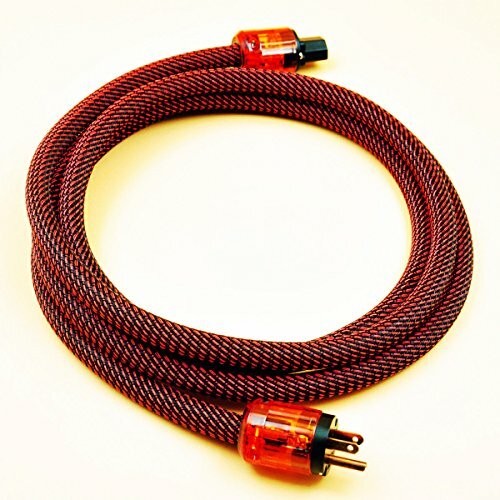 ❤️ AUDIOPHILE power cable, greatly reduces noise and enhances the entire audio system with wider dynamics. ❤️ SUPER PURE copper multi conductors made, perfect replacement for old, unreliable power cables. ❤️ SATISFACTION GUARANTEED: 30-Day money back and 5-Year warranty. If you have any questions about this product by WAudio, contact us by completing and submitting the form below. If you are looking for a specif part number, please include it with your message.